Vectors, because I am planning to create games this coming midyear, and reviewing/re-learning vectors is very essential to the type of games that I’m planning to create. This CS 130 is fun and awesome. I will never forget the fun times we had in class, I will cherish my memories with my classmates, sir, and especially my groupmates forever. Laplace Transforms can be used to handle moderately complicated chemical systems. But these techniques work only for linear (1st-order) systems. This can be used in handling mixed order reaction equations, such as “mixed second order” reactions. Facial symmetry is one specific measure of bodily asymmetry. Along with traits such as averageness and youthfulness it influences judgments of aesthetic traits of physical attractiveness and beauty. For instance, in mate selection, people have been shown to have a preference of symmetry. This is due to the fact that it is seen an indicator of health and genetic fitness, but also as holding adaptation qualities; reflecting the ability to withstand the changes in their environments. Facial symmetry has been suggested as a possible physical manifestation of the ‘big-five’ personality traits. The most consistent finding is that facial symmetry is positively correlated with extraversion, indicating that individuals with more symmetric faces are also more extroverted. More symmetrical faces are also judged to be lower on neuroticism but higher on conscientiousness and agreeableness. More symmetrical faces are also more likely to have more desirable social attributes assigned to them, such as sociable, intelligent or lively. Recent study shows the association of trustworthiness and with symmetry on the face. People are biologically evolved to detect the deceptive intention of other people by observing the asymmetry in the face. When people are lying, their facial muscles become imbalanced. Example of trustworthy (on the left) and untrustworthy (on the right) looking male faces. These faces were created by morphing two of the most trustworthy and untrustworthy, respectively, looking male faces in our sample. I wish I could morph faces of trustworthy and untrustworthy Philippine politicians and check the results. You may have heard from the news about the discovery of a nearly submerged continental fragment that sank after breaking away from Australia 60-80 million years ago. This vast landmass which is attached to New Zealand has been named Zealandia, and with a total area of approximately 4,920,000 km2 it is currently the world’s largest microcontinent. It was considered because of its distinct geological features which met all the criteria applied to Earth’s seven other continents—elevation above the surrounding area, distinctive geology, a well-defined area and a crust much thicker than that found on the ocean floor. 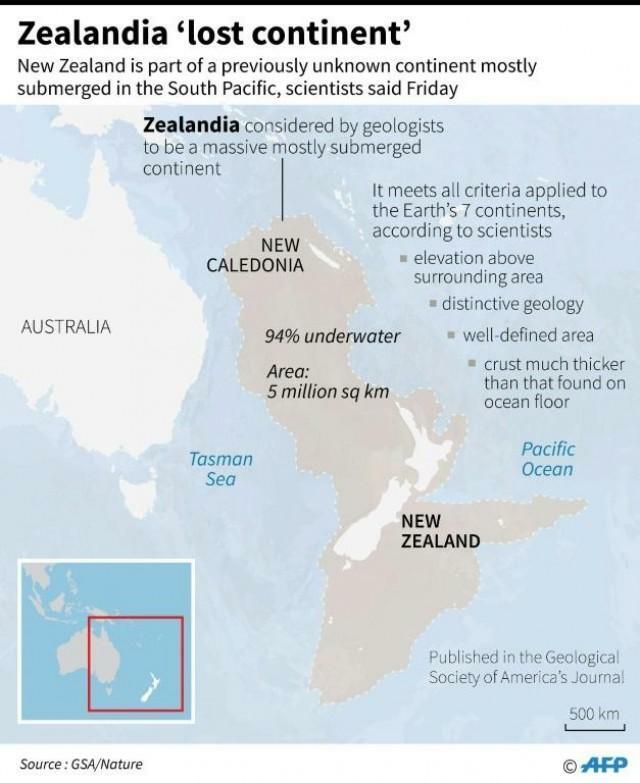 The team composed of 11 researches discovered Zealandia using upgraded satellite-based elevation and gravity maps. The same technology was used to to get much detailed images of Mars’ hidden interior, just like a doctor uses X-ray to see the inside of a patient. This technique also known as Gravity Gradiometry, is the study and measurement of variations in the acceleration due to gravity. The gravity gradient is the spatial rate of change of gravitational acceleration. Gravity gradiometry is used by oil and mineral prospectors to measure the density of the subsurface, effectively the rate of change of rock properties. From this information it is possible to build a picture of subsurface anomalies which can then be used to more accurately target oil, gas and mineral deposits. It is also used to image water column density, when locating submerged objects, or determining water depth. Gravity measurements are a reflection of the earth’s gravitational attraction, its centripetal force, tidal acceleration due to the sun, moon, and planets, and other applied forces. Gravity gradiometers measure the spatial derivatives of the gravity vector. The most frequently used and intuitive component is the vertical gravity gradient, Gzz, which represents the rate of change of vertical gravity (gz) with height (z). It can be deduced by differencing the value of gravity at two points separated by a small vertical distance, l, and dividing by this distance. The two gravity measurements are provided by accelerometers which are matched and aligned to a high level of accuracy. Gravity gradiometry has predominately been used to image subsurface geology to aid hydrocarbon and mineral exploration. Over 2.5 million line km has now been surveyed using the technique. The surveys highlight gravity anomalies that can be related to geological features such as Salt diapirs, Fault systems, Reef structures, Kimberlite pipes, etc. Other applications include tunnel and bunker detection and the recent GOCE mission that aims to improve the knowledge of ocean circulation. Gerald Roy Campanano. Pwede mo akong tawagin na Gerald, pwede rin Roy. Lilingon ako kahit alin. Excited! Dahil si Sir Paul ang magtuturo. Hirap pero willing to adjust. Kakayanin basta para sa’yo. Gutom. Kasi mag 7pm na. HAHAHA!